Joseph C. Maroon, M.D., FACS, is Professor and Vice chairman of the Department of Neurological Surgery and Heindl Scholar in Neuroscience at the University of Pittsburgh Medical Center. 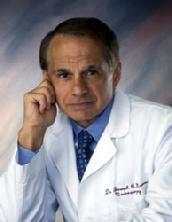 He is a world-renowned neurosurgeon, health and nutrition expert and Ironman triathlete. He is regarded as a premiere specialist in the surgical treatment of injuries and diseases of the brain and spine, particularly with microscopic and minimally invasive procedures. He had done extensive research into brain tumors, concussions and diseases of the spine that have led to many innovative techniques for diagnosing and treating these disorders. Team neurosurgeon for the Pittsburgh Steelers since 1981, Dr. Maroon has successfully performed surgery on numerous professional football players and other elite athletes with potentially career-ending neck and spine injuries, safely returning them all to their high level of athletic performance. Dr. Maroon is frequently quoted as an expert source by national media, recently including the New York Times, USA Today, Associated Press, ESPN, Sports Illustrated, and ABC News Nightline. As a health and fitness expert he is Chairman of the Medical advisory board of GNC and has research interests in the use of omega-3 fatty acids as a safe and natural alternative to non-steroidal anti-inflammatory drugs (NSAIDs) in treating neck and low-back pain in patients with disc and arthritic causes as well as for general good health. He wrote the book, Fish Oil: The Natural Anti-Inflammatory, which highlights many of the benefits of fish oil. He has recently authored the book, The Longevity Factor: How Resveratrol and Red Wine Activate Genes for a longer and Healthier Life. In 2012 this book was made into a PBS special and featured in TV stations throughout the country. As an undergraduate at Indiana University in Bloomington, Indiana, he was named a Scholastic All-American in football. In 2011 he was selected as a “Distinguished Alumnus” of Indiana University—one of 5 selected annually from 500,000 alumni from the university. 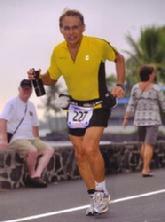 Dr. Maroon has successfully maintained his personal athletic interests through participation in 9 marathons and more than 72 Olympic-distance triathlon events, including seven international Ironman triathlons. (Hawaii—1993, 2003, 2008, 2010; Canada 1995; New Zealand 1997; Europe 2000). In July 2012 he was second in his age group in the Muncie, Indiana Ironman triathlon.